Citizenship status determines the rights and obligations that exist between citizen and State. For example, a citizen must pay taxes, but also has the right to vote and enjoy government-maintained infrastructure and services. Citizenship also entails a mutual duty of loyalty: the State is to act in the collective interest of its citizenry, while a citizen owes allegiance to the State. Because the citizenry and the State form an interdependent political and social entity, the mechanism and selection process by which the State confers or withholds citizenship directly influences the composition, and hence vitality, of that State. Relatively recently, several countries such as Malta have implemented a naturalization process called “citizenship by investment.” Under this naturalization process, anyone who is willing to make a hefty donation to the State will receive automatic citizenship. This practice has sparked considerable debate over the legal and ethical consequences of making citizenship essentially a commercial commodity. In order to assess the prudence of such a practice, one must first articulate the goals of conferring citizenship. In general, a State should not confer citizenship on persons who pose a detriment to the State’s vitality. Conversely, a new citizen should ideally add to the strength of a nation. Moreover, a prospective citizen should have an interest in permanently living and working in the country, embrace the country’s culture and traditions, abide by the country’s laws, and be politically loyal to the country and its people. Another valid goal of naturalization is to provide foreign nationals with an opportunity to start a new life in a different country with potentially greater political and economic opportunities. However, this should be secondary to the State’s obligation to ensure that new citizens do not materially weaken the existing commonwealth, whose interests the State has already promised to protect and promote. In the United States and many European countries, citizenship by permanent residency is the most common pathway to citizenship for a foreign national. Under this process, a person who has resided in a country for a certain term of years may apply for citizenship. In the United States, an applicant must be at least 18 years old, be a permanent resident (for 3–5 years, depending on marital status), be a person of good moral character, have basic knowledge of the U.S. government, have a period of continuous and physical presence in the country, and be able to read, write, and speak basic English. In addition, applicants must be fingerprinted and undergo a criminal background check by the FBI, and take an oath of allegiance to the United States. The requirements for becoming a U.S. citizen reasonably relates to promoting the admission of good, law-abiding and productive citizens. Continuous physical residence for a term of years provides evidence that the applicant is capable of, and desires to, live and work in the country. In addition, living for a term of years without criminal incident, as verified by the FBI, is evidence that the applicant is willing to abide by the nation’s laws. Additionally, basic proficiency in the nation’s official language and familiarity with the basic structures of the nation’s government serves the goals of cultural assimilation and generally indicates that the applicant is able to function productively in society. Finally, an oath of allegiance, while no guarantor of actual allegiance, at least conveys to the applicant that political loyalty is demanded of him as a new citizen of the nation. Citizenship by investment, on the other hand, is not designed to facilitate the naturalization of good citizens. There are no inquiries into the applicant’s moral character or willingness to abide by the nation’s laws. In addition, there is no indication that the prospective citizen has any desire to live or work in the country. 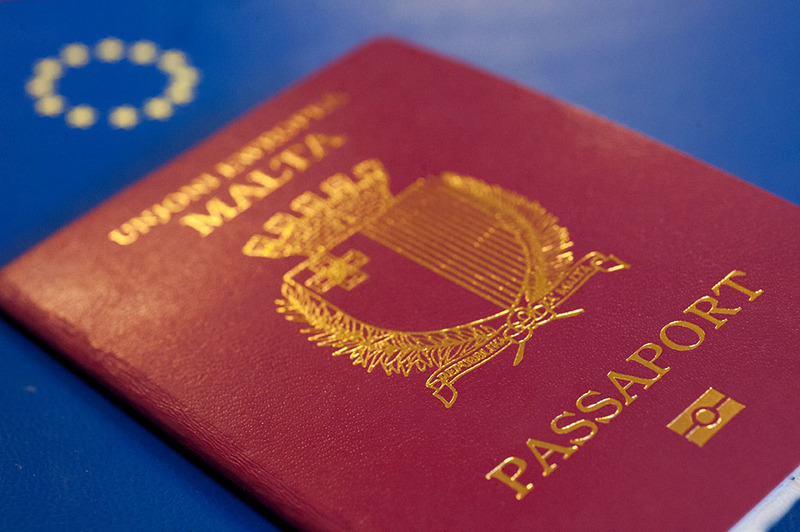 Indeed, a person may wish to purchase citizenship from a country such as Malta simply because he wishes to enjoy the benefits of citizenship within the Europe Union, such as ease of travel between member states. In addition, an embezzler might exploit his Malta citizenship to hide and protect illicitly acquired funds in a Malta bank, and then call upon Malta’s sovereign protection to prevent foreign actors from asserting control over the embezzled funds. Such concerns are exacerbated by the fact that Malta protects the confidentiality of any persons who wish to acquire citizenship by investment. Ultimately, the State forgoes a more selective and nuanced process in order to receive an upfront payment. Arguably, such a payment is of direct benefit to the nation-state and does serve to strengthen the nation as a whole. Moreover, one could argue that countries like Malta have performed a cost-benefit analysis and concluded that the risk that a purchaser will prove a detriment to their society is outweighed by the manifest benefit of receiving a large sum of money (in Malta’s case over half a million euros), which the government may invest towards improving government functions and services for its citizenry. However, this overlooks the fact that Malta is imposing negative externalities on other countries, such as providing a means by which foreign embezzlers can evade legal judgment. In addition, conferring Malta and hence EU citizenship on persons of unknown or questionable moral character undermines the security of the EU by granting such persons easy travel access to numerous EU member states. In short, a naturalization process whereby wealth is the only qualification is not conducive to selecting good citizens, and may even serve to undermine the security of the international community.